The Swedish authorities have finally caught up with the Pirate Bay’s missing co-founder after local police in Cambodia arrested him at a home he had rented in the capital, Phnom Penh. An international warrant had been issued by Swedish officials for the arrest of Svartholm Warg, 27, for failing to turn up to serve his one-year jail sentence in April. 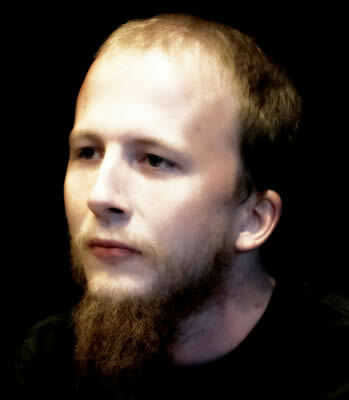 Warg was one of four co-founders of the Pirate Bay, found guilty of copyright infringement by the Swedish courts in 2009. He faced a one-year prison sentence alongside Fredrik Neij, Peter Sunde, and Carl Lundstroem and all four were ordered to pay $4.4 million in compensation to several film and music studios. Neij, Lundstroem and Sunde appealed the conviction in 2010, and were successful in reducing their jail terms to between four and ten months, but were slapped with an even bigger $6.7 million fine. Warg was unable to attend, with his lawyer claiming he had received text messages from Warg’s mother saying he had fallen ill in Cambodia. His fate was left in limbo after the court decided to hear his case once he was fit to appear. However, by October 2011 the court's patience had run out, as Warg fell off the radar and even his close friends feared he was dead. Despite this, the Stockholm District Court heard the case in his absence, ruling to uphold his original one-year sentence and in doing so ending any further avenues of legal appeal. Then in April, the Swedish authorities issued a warrant for his arrest after he failed to turn up to serve his sentence. The infamous file-sharing site, founded in 2003, has continued to operate despite the conviction of its founders and block attempts in several countries, which they claim has only helped increase traffic. Its 30-million strong community has so far eluded law enforcement organizations. All four strongly deny any wrongdoing and argue that TPB does not actually host any copyrighted material.